I'd like to poll and see what everyone thinks of this. Earlier this year Sony unleashed their Greatest Hits branding (now labeled as PlayStation Hits) for their bestselling PS4 games. For physical copies this just means a new production line of those exact same games but now with a discount and a red banner on the artwork. 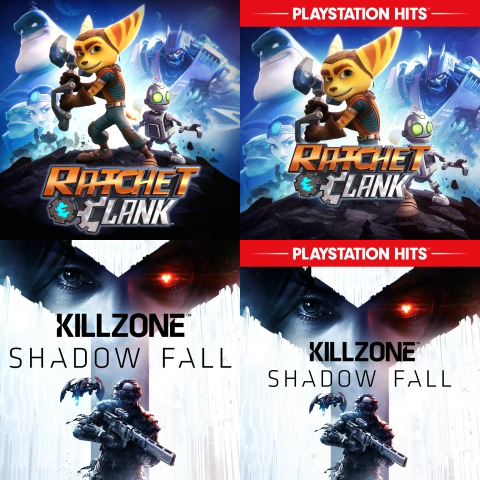 However, for the PlayStation Store entries, all existing pages for these games are now sporting a red banner on their official store page image. There are no separate pages for non-PlayStation Hits copies. For the PlayStation Store games on this site, they've all generally been using their newest official store images as their front cover artwork (unless the store image is low quality, common for older games). So my question to you all is, should we update the images for these PlayStation Hits games with their new PlayStation Hits branding, or keep the old ones? Below are two examples of the change. I think for digital it doesn't really need to be updated, but for physical just create a new listing for the Playstation hits version. That is the issue with having entries for digital games in the first place. The platform owner can, and will change the game art, titles, availability, and even what software is included.